Over the weekend of July 20-21, Dr. Keegan and staff members Christine Ramsak, hygienist, and Amanda Strapko, dental assistant, along with Dr. Keegan's daughter Tierney, drove to Springfield Illinois, where they volunteered at a free dental services clinic for Illinois residents in need. 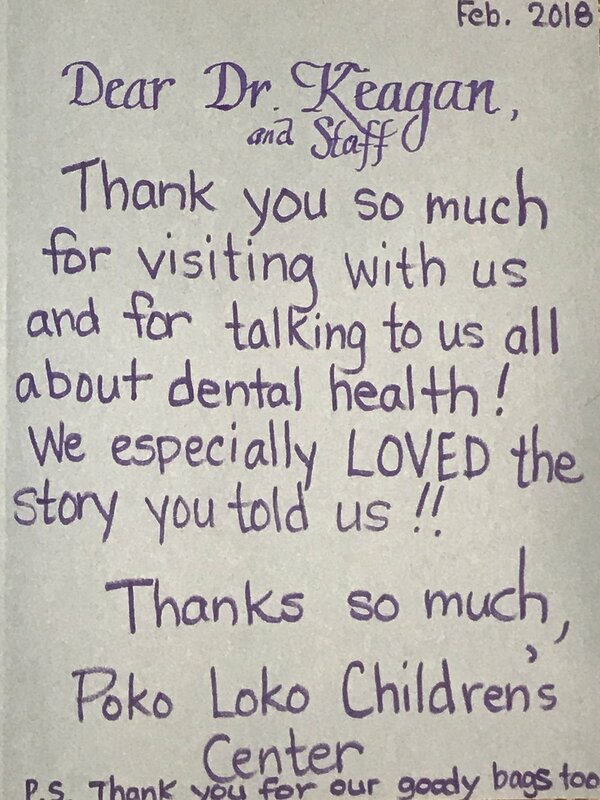 To celebrate Children's Dental Health Month, East End Dentistry's dental assistant visited our next-door neighbor Poko Loko Early Learning Center on February 23. She read The Lion Who Wouldn't Brush His Teeth to the children, and distributed Dental Goody Bags. Above is the Thank You card the children sent to us. 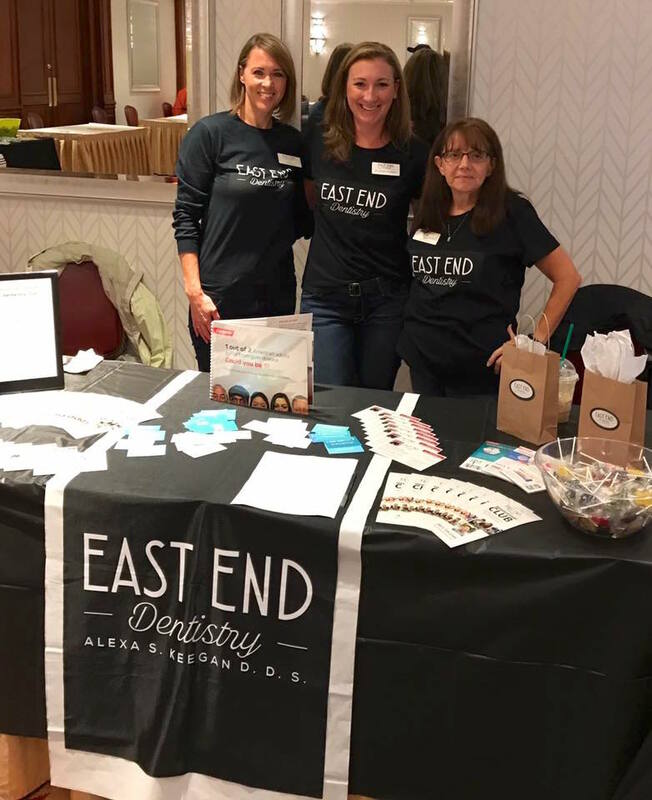 East End Dentistry will have a table at the Glenview Chamber After Hours event on November 8 from 5:30 - 7:00pm at Jennings Chevrolet, 241 Waukegan Road. Spreading the news about East End Dentistry! This annual classic car show was held in the Glenview Bank & Trust parking lot at 99 Waukegan Road in Glenview. The Center of Concern teamed up with Glenview Bank & Trust, Mariano’s, AT&T, Learning Express, Kiwanis Club of Glenview-Northbrook, East End Dentistry, The Reserve Glenview, For Eyes and others to sponsor this networking and family event featuring classic cars. “Folks from all walks of life enjoy seeing the old cars and talking with car owners about the history and legacy behind the cars,” said John McNabola, Executive Director of the Center of Concern. “It’s a unique and fun time that brings all ages”. Michael K. Moylan, Vice President at Glenview Bank and Trust said, ‘We are excited to host Coffee, Classics, and Connections. In addition to the classic cars you come out for a free cup of coffee, get your flu shot, meet the local Kiwanis, win a raffle or learn about the services provided to seniors in the community”.